Deerfield Beach resident, Charles Boyd, received a new ramp from the Center for Independent Living of Broward (CIL Broward) which allowed him to enter and exit his home safely. 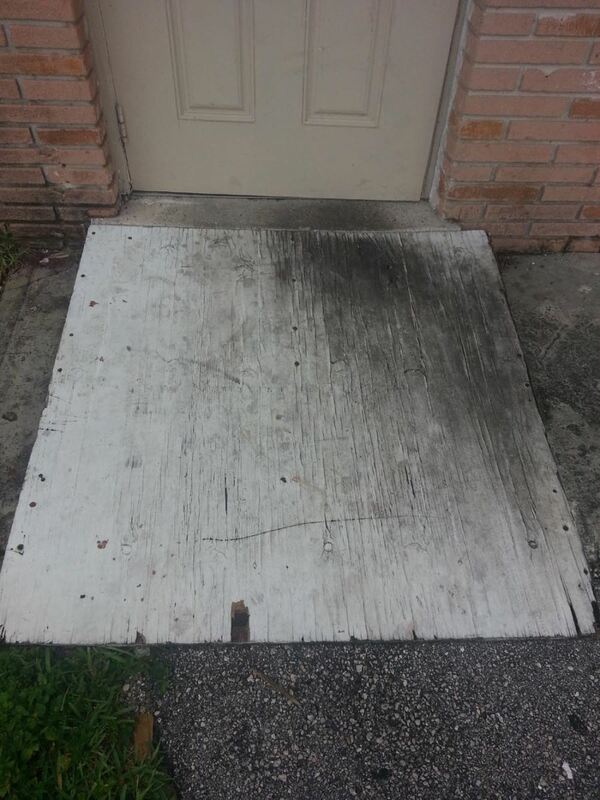 Mr. Boyd is a 73 year old man with Spina Degenerative Disease who uses an electric wheelchair and was forced to use an old rotted out small piece of wood as a ramp whenever he left or returned home. For more than a year, Mr. Boyd risked his health and safety by using the dilapidated ramp just to continue to enjoy his day at the local Senior Adult Day Center. 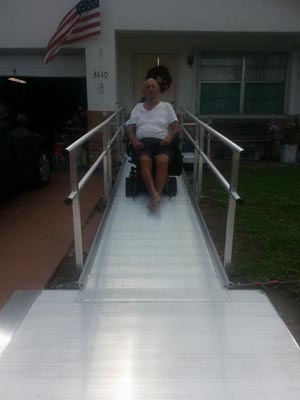 CIL Broward Housing Director, Bob Davis, and Gen-X Construction stepped in and installed an aluminum ramp that extends from his doorstep to his driveway. Now, Mr. Boyd worries no more about what it will take to get through the door.